Sorry my post is a bit late, our internet went down last night before I could write up my post! Thank goodness it's back now!! It's week four with the talented JJ Bolton as our muse at CASE Study. 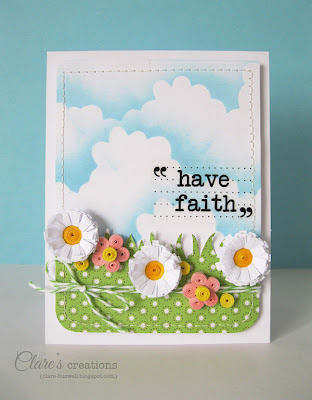 Check out her fab inspiration card this week. 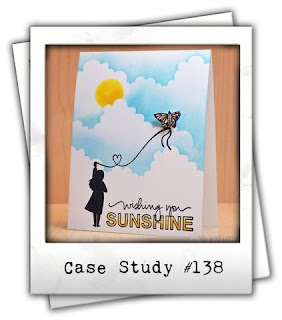 It took me a while to decide what approach I'd take with my card, I loved the cloud effect in JJ's card but wasn't sure if I could do something similar. I was so glad I tried! I drew a simple cloud mask from a bit of card, seriously not hard, it doesn't have to be perfect. Then I used some Distress Ink - Tumbled Glass and a blending tool to add the subtle blending of the blue, I tried it on a piece of paper first but I was surprised how easy it was!! You just keep moving the mask up and adding your clouds, random is good too, you don't want your clouds all in a line. 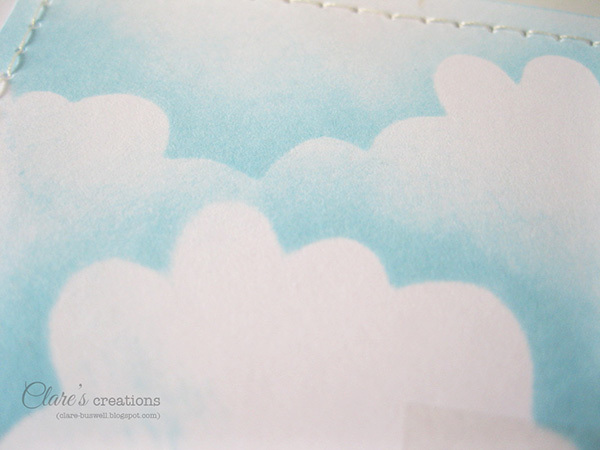 The clouds reminded me of lying on soft grass in the summer looking up at the clouds, so attempting to create that in a card, I added some grass, with a roughly chopped edge in the form of some patterned paper. You gotta have some daisies in your grass, I had these lying around from the Quilled daisy tutorial I did a couple of weeks ago. 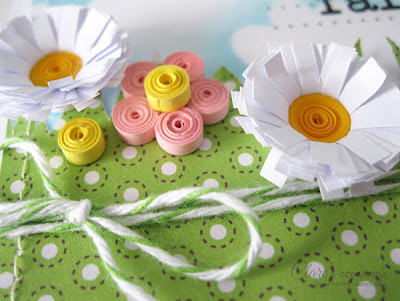 The green and white baker's Twine is from SRM Stickers. 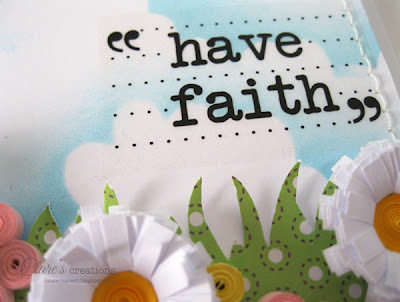 The sentiment is from Sticker Sentiments - Shine Your Light from SRM Stickers. I love that set. Oh, don't forget CASE Study is having a DT CALL right now, you have a few more days to get your entry in, don't miss the opportunity because it doesn't happen that often and it's a super team to be on!! Now check out what my CASE Study team mates have come up with this week! Labels: Case Study, clouds, daisies, quilled flowers, Quilling, SRM Stickers. So positive and so fun! What a great card. Love your sky - TFS that idea, and your flowers are darling! Cute, cute, cute. 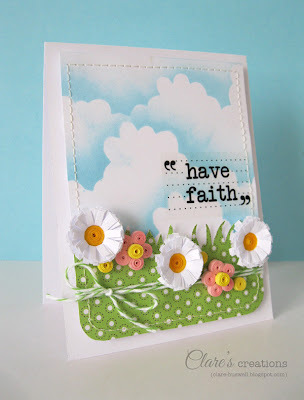 This is just fabulous - love the flowers and the clouds - really need to do a tutorial to show details on those clouds - I'd love to learn!